TEETERING PERILOUSLY close to the swaying trapdoor that is relegation to the Netherlands’ second tier, FC Twente can do little but hope their legs hold out long enough to preserve their top-flight status for another year. As they peer upwards, longingly wishing they were once again sat beside Dutch giants Ajax and PSV, whose seemingly permanent positions at the more desirable end of the table is no strange sight, it isn’t hard to imagine Twente’s fans going to sleep at night wishing they could wake up in the morning to see the day’s date miraculously rolled back to 2010. 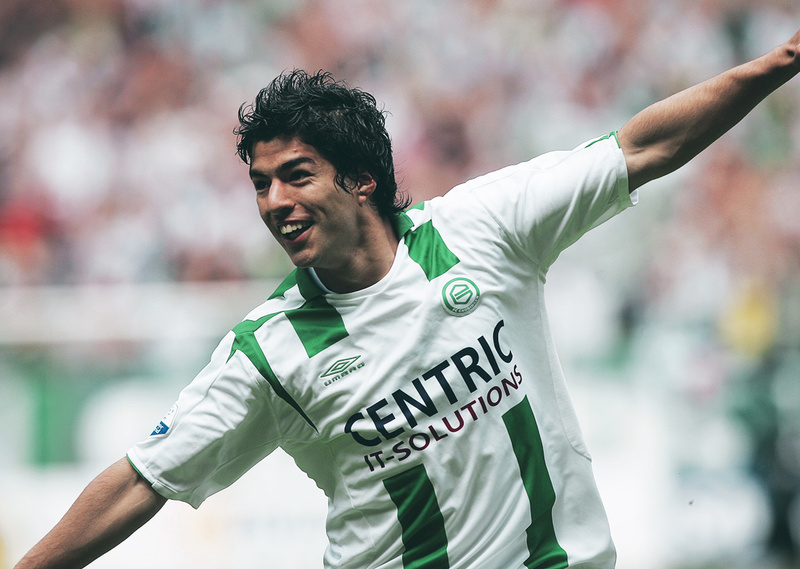 After all, it was only six years ago that the Pride of the East ended the 2009-10 season at the summit of the Eredivisie and were crowned Holland’s finest. But their moment in the sun eventually played out a fitting imitation of Icarus, and their defining glory – on a half-century-long backdrop of mostly mid-table mediocrity – became an anomaly. Indeed, it wasn’t just the club experiencing an altogether unfamiliar high. It was in that very moment, on a night of firsts, as the Tukkers played out a debut title-sealing 2-0 win away to NAC Breda, that their manager Steve McClaren became the first Englishman to conquer a major European league since Sir Bobby Robson’s second Portuguese title with Porto in 1996. And so it was, quite wonderfully, that Twente’s solitary top-flight triumph came at the hands of man who, just 18 months before, had been dubbed ‘The Wally with the Brolly’ by the ever-eloquent British tabloids following his failure to guide England’s safe passage to Euro 2008. McClaren’s managerial career has, like many on the sidelines, oscillated between triumphant fist pumps and demoralised head shakes all too regularly to effectively deter doubters. Articles from yesteryear, which eulogise McClaren’s revolutionary insistence on video analyses at Derby and his advocacy of sports psychologists at Manchester United in the late ‘90s, paint a picture of a visionary perhaps wasted in as frivolous a pursuit as Association Football. 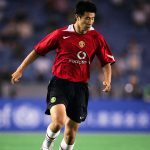 The lengthy prose section of his CV, inevitably titled My Time at Manchester United: The Treble and Other Historic Moments, presents more than a little ‘walk’ to back up the proverbial ‘talk’ that had flowed freely from the inkwells of others regarding McClaren’s abilities throughout his fledgeling years. But the failings that followed, the sackings from the England team, Derby County and Wolfsburg, as well as dejected resignations from Nottingham Forest and FC Twente, in a rather less remarkable second spell, muddied the pristine waters that were McClaren’s early accomplishments, and these less favourable experiences corroborate on another story altogether. But a man should be judged not by his failures but by how he responds to them, and no sooner had he lost the belief of one nation – as Mladen Petrić’s 25-yard strike sent a stubborn England team tumbling out of the European qualifiers with a whimper at Wembley – McClaren strode boldly into another, to take charge of a foreign club aching to push on from their propitious fourth place finish the season before. Surprisingly, though, away from the bright lights and overbearing opulence of the Premier League, the reality of McClaren’s new club called for some familiar feelings to surface as the community spirit and tightened purse strings presented something of a throwback to his humble Yorkshire roots. Sure, some stars of the Dutch league may have been demanding star-worthy salaries, but none were at Twente. This economically-restrained modus operandi allowed McClaren to train his focus on nurturing the club’s youth and “polish up rough diamonds”, as he put it himself, rather than splurging on proven talent, which called for more dedication on the training ground than the boardroom; a managerial strategy that drew few complaints from McClaren’s inner coach. What was made available to him, by way of a budget far too humble to ever be described as a war chest by any Dutch red tops, was utilised well and McClaren’s finest signing at Twente saw the club convince Belgian outfit KAA Gent to part with their silky South American forward Bryan Ruiz for somewhere in the region of €5 million, though this wasn’t until the early knockings of McClaren’s second season in charge. McClaren’s first season at the helm played out a little like sitting atop a horse on a fairground carousel. It consisted of plenty of ups and downs, a few smiles and joyous waves to bystanders along the way, but failed to provide anything to ever really get the adrenaline pumping. The club progressed beyond the group stage of the then-UEFA Cup, bettered their fourth place league finish from the previous year – finishing above both Ajax and PSV in the process – and featured in the Dutch Cup final. However, successes these may have been, they rather limped out of the UEFA Cup, losing on penalties in the first knockout round to Marseille, finished 11 points off an immaculately-defended AZ team, who were crowned champions with three weeks to spare, and failed in their final efforts to secure some silverware for the season, succumbing to another penalty shootout defeat in the Dutch Cup final against Heerenveen. McClaren was right to be placated by his efforts; he’d ridden the challenge well and shown that his shortcomings with the England team weren’t about to define his career. Though on paper the stats from the 2008-09 season fail to emit the tinge of disappointment felt by some of the club’s fans at the time, everybody involved was hungry for even greater success the following season. The season didn’t exactly begin as the club may have hoped. In the space of 30 days two key players – both integral in Twente’s finer moments during McClaren’s tenure thus far – had expanded their horizons and manoeuvred moves to what they saw as bigger clubs. Tricky winger Eljero Elia, the previous year’s Dutch Footballer of the Year, enticed by the allure of the Bundesliga, signed for Hamburg, while adored youth product, Marko Arnautović, signed a season-long loan deal with Inter Milan. Just like that, 88 appearances and 28 goals worth of talent from the previous season had departed a Twente team that were supposedly progressing. At the very least, these departures, among others, reinforced the club’s budget, which McClaren quickly utilised to plug the gaps. His chosen replacements, the aforementioned Bryan Ruiz and Slovakian winger Miroslav Stoch, drew contrasting reactions from fans. Ruiz, whilst still somewhat under the radar, had gone from strength to strength in Belgium and seemed well suited to a greater challenge. Stoch, however, had little more than a handful of appearances in the Slovak Supa Liga to his name before English giants Chelsea had taken a punt on signing him, and he’d barely appeared for them before being shipped off to Twente on loan. Nobody could have blamed Twente fans should they have feared the previous season’s runners-up finish was as high as they may venture up the table for the foreseeable future. Between the two of them, though, these signings didn’t just steady the Good Ship Twente, they battened down the hatches and steered them straight into the eye of the storm that was the 2009-10 Eredivisie season. McClaren continued to deploy what was once evocatively labelled a “pure, attack-minded version of Dutch 4-3-3” with licence to roam and instructions to essentially “do what you do best” given to his more mesmeric playmakers. With veteran custodian Sander Boschker between the sticks, McClaren knew his goal was in safe hands and his already reliable back line was further reinforced by the acquisition of Dutch right-back Ronnie Stam, who rode into Twente from NAC Breda on the same wave of optimism as Bryan Ruiz. Further up the field, the likes of Theo Janssen, Cheik Tioté and Wout Brama compiled a resolute midfield whose rigidity and determination dovetailed with the creativity of their forward players, Ruiz and Stoch most notably, who not only chipped in with more than their fair share of goals over the course of the season, but also kept Twente favourite Blaise Nkufo scoring in what was the club’s all-time leading goalscorer’s final season for the Tukkers. The club once again failed to make a lasting impression in the cup competitions. Their pursuit of the KNVB Cup came to an end in the semi-finals at the hands of Feyenoord, and their time in Europe could also have gone better as they fell at the first hurdle in the Champions League. Losing out to Sporting CP in the third qualifying round saw them tumble into the Europa League, where they were again denied passage beyond the Round of 32 courtesy of a 4-2 aggregate defeat to Werder Bremen. These hiccups tempered the club’s progress and served to remind them of their weaknesses. But, fortunately for McClaren’s team, in retrospect it mattered little as they had their eyes on another prize, which, this season, was to finally come east. Casting your eyes upon the goals scored/goals conceded section of season’s final league table, it’s almost impossible to envisage any way in which this became a reality. Exactly how were Ajax were prevented from waltzing to yet another title? With 23-year-old, soon-to-be-crowned Dutch Footballer of the Year Luis Suárez leading the charge, ending the season just one shy of 50 goals in all competitions, swashbuckling Ajax swept home 106 goals in their 34 league games, all the while conceding a paltry 20 at the other end. Rarely, if ever, will a team with a plus 86 goal difference fail to see in the month of May at the head of the table. But whilst Ajax regularly dismantled the Eredivisie’s most willing of challengers with relative ease, Twente were able to match them for efficiency. Ajax scored four or more goals in a single game an incredible 16 times, while Twente only managed to do so twice, yet both teams amassed 27 wins. When the clubs were eventually separated by a solitary point, what good was goal difference? To say that Twente relied upon their home form would be to understate their ability to stand tall and secure points even when faced with adversity on away trips. Although, rather fittingly, despite being so many miles from his own home comforts, it was at the club’s home of De Grolsch Veste that McClaren’s title charge was so superbly orchestrated. His squad was near perfect on their own turf, winning 16 of their 17 home games – a hard-fought 1-1 draw with PSV the only blot on an otherwise faultless record. Ajax boasted an almost identical record at home; just one draw, two dropped points, preventing them from taking the spoils in every one of their 17 home games. But it is often said that history is written by the victors, and so it was Twente’s record that made the headlines as theirs successfully carried them to the title. While many on home soil would argue that McClaren is still yet to prove himself as a capable lead, plenty of fans across the North Sea would counter that he did exactly that during his first two award-winning years in the Netherlands. 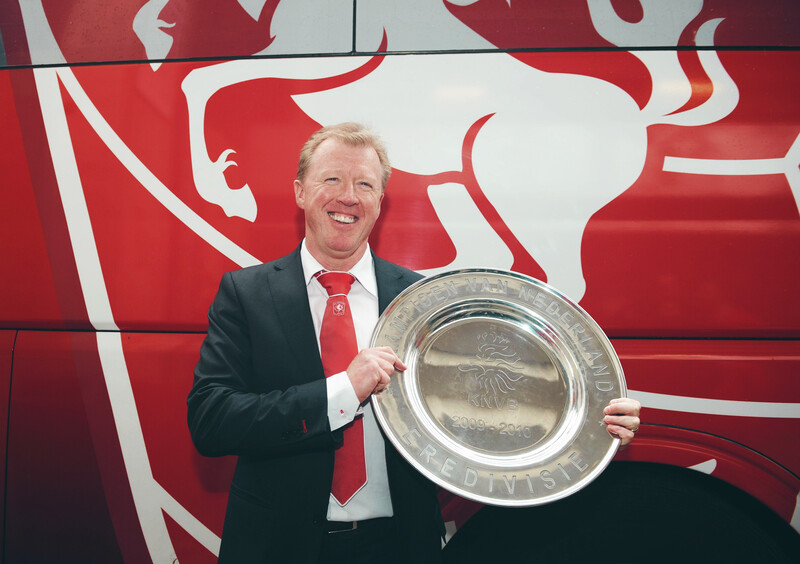 To the less perceptible of us back in Blighty, it may even seem as though McClaren’s sojourn abroad never really happened, but to fans of FC Twente, there is no doubting the events of his time there – ephemeral as they were – and it may pay for devotees of English football to remember just what Steve McClaren is capable of. On the day that Twente sealed their greatest triumph, on a drizzly afternoon in Breda with not a single umbrella in sight, waving proudly in the centre of the away end stood a banner. Emblazoned with a quote, borrowed from Marcus Aurelius, it exclaimed “What we do today echoes in eternity” and before the day’s end, these words had become a prophecy. As the final whistle sounded, bringing the season’s final game to a close, Steve McClaren and his gladiators became eternal in the hearts and minds of the Enschedeërs.